The new WNM wireless network module available in Australia from Moore Industries-Pacific is designed to offer high accuracy and reliability in sending process signals between remote field sites. Functioning as a low-cost wireless communications link between field sites in rugged terrain, a single WNM unit is capable of transmitting for up to 30 miles with the additional ability to act as a repeater for a virtually unlimited transmission range. 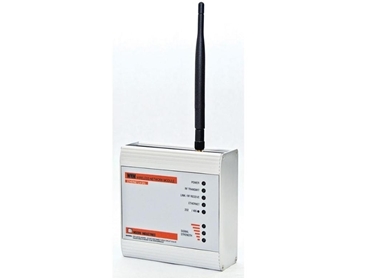 Designed for long distance data transmissions, the wireless network modules are bi-directional and employ Spread Spectrum Frequency Hopping technology to avoid interference problems caused by crowded radio spectrums. Operating at standard operating frequencies of 902-928MHz or 2.4-2.4835GHz, the WNM does not require a regulatory license and can typically be installed without performing costly RF site surveys. While 902-928MHz units can transmit up to 30 miles, 2.4-2.4835GHz units have a transmission range of up to 15 miles. When set in the Smart Switch Ethernet (SSE) mode, the WNM enhances the speed and reliability of data packet transmission by determining the most efficient path of broadcast on a packet-by-packet basis.